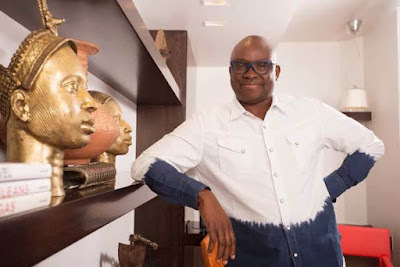 Ekiti State Governor, Chief Ayodele Fayose, has said he intervened in the crisis that rocked the Federal Teaching Hospital, Ido-Ekiti recently even though it is a federal institution because of the need to defend the interest of the people. According to the governor, corporate interest must be placed above personal or even political consideration. He stated this in Ado-Ekiti on Tuesday when members of the board and the management team of the hospital paid him a courtesy visit at the Government House. In a press release by the governor’s Chief Press Secretary, Mr Idowu Adelusi, the governor also reiterated the call that the Federal Government should include nominees of host state governments in the boards and councils of federal institutions, saying that would facilitate flow of information and cooperation. “Political parties are mere vehicles to get to some destinations and even the vehicles can be changed as well as the driver. We need people who are gadfly, who will put those in authority on their toes for effective performance,” he said. On the clamour for restructuring, Fayose noted that the process could start gradually and issues taken one after the other. He opined that the results of restructuring would eventually come to bear on the polity and the coming generations. In his remarks, the Chairman of the board, Alhaji Abubakar Mohammed, thanked the governor for his intervention and efforts at resolving the crisis that rocked the hospital some months ago. The Chief Medical Director, Dr Kunle Ajayi, said the hospital was ready to contribute more to the development of the state.